Over the last 2 decades, Australia has seen enormous growth in its urban populations, and this trend is expected to continue well into this century. 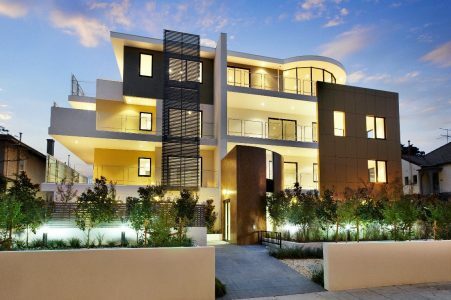 With multi use apartment projects gaining favour in both inner city and suburban hubs, architect Robert Caulfield, of Caulfield Krivanek Architecture, provides this 10 point Apartment pre-sales checklist, to guide developers and sales teams towards a successful sales campaign. Caulfield Krivanek Architecture has undertaken the design of significant apartment projects in Melbourne, China, Dubai, Vietnam and Azerjaiban. If you would like to discuss any current or future project with us, please contact us on 03 8658 4000. Many apartment projects rely on pre-sales of up to 70% of a project’s value to trigger the approval of finance from a funding institution to ensure the project proceeds. This can result in the expenditure of large sums of money on consultants’ fees, legal costs and permit applications; a risky investment if pre-sales aren’t achieved. The Istana apartments in A’Beckett Street, Melbourne are a typical case in point. This project comprises of 320 apartments, a multi-level car park, retail premises and luxury penthouses. The construction value was approximately AUD$100 million and sales values of about AUD$190 million. The original client, Yucai Australia was keen to maximise their exposure and trigger their pre-sales quota as quickly as possible. 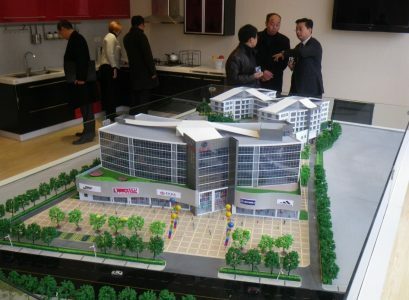 The company purchased the site in February 2009, settled the purchase in July and by December had completed schematic drawings, obtained development approval and achieved 50% of their pre-sales quota. The key to this feat was teamwork involving close liaison between the client, Caulfield Krivanek Architecture, sub consultants and the sales team. The following document is our 10-point checklist for a successful pre-sales program. It stands to reason that the more sections of the market you can appeal to, the more potential sales you will get. This project was divided into two levels; below the 14th floor were lower cost apartments varying from standard studio apartments up to 75 m² two-bedroom apartments. 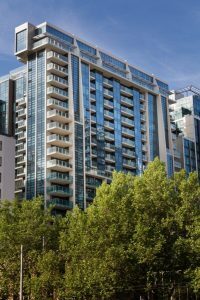 Levels 14 to 23 were upmarket two and three-bedroom apartments up to 120 m² and at the top were penthouses up to 410 m² with a price tag of up to AUD4.5 million. The diversification in planning allowed us to appeal to first home buyers, students, second home buyers, retirees, high wealth individuals and investors – a very broad spectrum of prospective purchasers. Building costs and interest on funds are the two critical expenses which need to be managed over the development period. Maximise the current income from the site. Keep existing tenants for as long as possible or even seek short term tenants through the design period. Minimise the design and development approval time required. Appoint your architect and sales consultant as early as possible, draw up a development and sales brief, have the architect review and appoint sub consultants and fast track schematic design and planning lodgement. Your architect and sub consultants’ team should review all construction and services alternatives in the initial stages to determine the most cost-effective solution. We assume that a comprehensive market analysis has been done and a design brief has been prepared. These should be done with your architect who should also have their own comprehensive market experience. For the Istana Apartments, this diversification in planning allowed us to appeal to first home buyers, students, second home buyers, retirees, high wealth individuals and investors – a very broad spectrum of prospective purchasers. Markets can change very quickly. Changes in interest rates, bank lending criteria, economic conditions, all mean that by the time a building comes to the marketing stage it could miss the market. It is therefore imperative that once a market analysis and brief has been established, the project should be rapidly developed for marketing. One complicating factor here is the time required for development approval. This can seriously jeopardise the program. It is essential that the development approval process is clearly understood. More often than not, compromises need to be made to achieve development approval and the design may need to be revised at this stage. You should consider a series of amendments to the approved design, if it has adversely affected the original market assumptions or if the market has changed during the planning process. Many of our apartment projects have required several town planning amendments to achieve the original market expectations. Selling off the plan is all about creating dreams, images and expectations. It is important though, that these are accurate because current consumer legislation will deal harshly with developers whose finished product differs from those expectations. Caulfield Krivanek Architecture uses a number of sophisticated 2d and 3d computer programs which can provide unprecedented marketing tools such as walkthroughs, fly arounds as well as photo realistic images of interiors, exteriors and public spaces. Many developers consider that a marketing suite is something that should only be considered for the largest projects. This is not necessarily the case. A marketing suite can be something as small as a salesperson’s office if it is planned correctly. Virtually every commercial apartment project should have some version of a marketing suite. Smart use of architectural images along with photographs of intended finishes and fittings bound into a marketing book, complemented by framed displays showing carpets, kitchen finishes, wallpaper samples, paint colours and other items can often do the trick. A marketing suite should be in a dedicated office with good quality comfortable furniture, otherwise the desired effect of prestige and quality will be lost. The Istana apartments project had a dedicated marketing suite constructed in a temporary on site demountable building. It was 150 square meters in area, designed by CKA, built and opened within four weeks. We have used this technique on many projects in Australia and overseas. Larger developments usually have their own dedicated sales team, modest developments may use real estate agents on contract or even the partners or directors of the development company themselves. Whatever the arrangement one thing is certain, you only get one chance at a first impression and first impressions of selling off the plan projects often make the difference between a fast sell out and a slow protracted sales period. Whoever is meeting, greeting and selling must at least look and sound as good as the project itself. Information must be provided confidently and accurately. The modern apartment buyer is usually well educated and suspicious. It is important to know what all the shortcomings of a project are and have a well-rehearsed response which is consistent between all sales people. Prospective purchasers will often ask the same questions of different sales people hoping to get a better answer. These may be about inclusions, number of car spaces, incentives or a variety of other issues. Inconsistent responses always lead to trouble. Setting the initial selling prices is a very difficult task. Set the prices too low and you don’t maximise your profit, but this is not as bad as setting them too high and then having to discount them. Word soon gets around that the project is not selling, that prices are negotiable and that buyers should wait for them to drop further. A very useful strategy can be to release sales in several batches, starting at the lower end of the spectrum. This will encourage early sales, but more importantly, by releasing the next batch with a 5% to 10% price increase and suggesting future batches may be higher still will give the first purchasers a euphoric sense of fast capital gain, which they will boast about and give prospective purchasers a sense of urgency to achieve their own potential capital gain. Often, your first purchasers are your best sales people. Treat them well and make sure that they don’t just feel good about their purchase, they should feel ecstatic. Long complicated sales contracts not only scare some prospective purchasers, they are virtually an invitation for them to visit their solicitor for an opinion. This sometimes results in the legal eagles suggesting other projects or warning them away from your contract. Sales contracts should be as short and concise as possible and in plain English with minimal “legalese”. If you don’t already have a suitable contract of this nature it will usually take your solicitor three or four attempts to get it this way. As with your sales team, you only get one chance at a first impression and the project launch is the one sales event you must get right first time. A guest invite list, often compiled from real estate agent’s data bases. A celebrity host to open the event. This is important to attract media coverage but is probably only affordable for larger projects. A good venue. If the project has a large display suite, this will suffice otherwise a hotel or reception facility may be needed. A prepared press release system. There are many ways to resolve any design problems and it is important to work with your architect to analyse as many alternative solutions as possible to get the optimum result.